This is an activity to play with young learners. The objective is to make sure they know the color by the name. 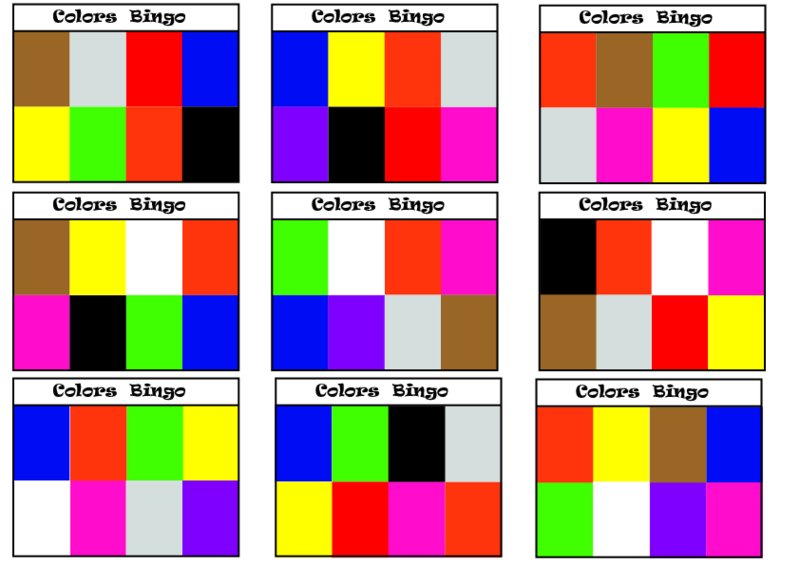 There are 11 colors divided between the colors chart, they are: red, yellow, blue, green, pink, white, black, gray, brown, purple and orange. 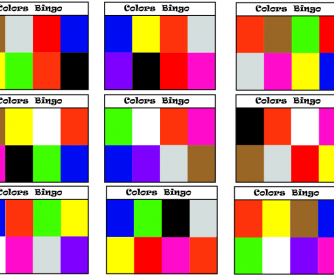 Write them down on a piece of paper, put them in a cup and sort them, the kid that completes all the colors must yell: 'Bingo!' and get the prize.